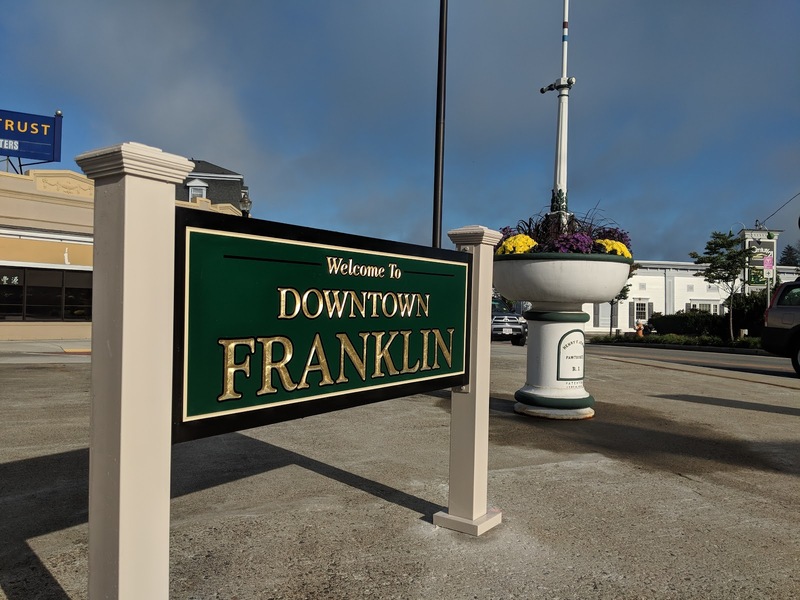 This internet radio show or podcast is number 152 in the series for Franklin Matters. This recording is the of the Town Administrator Search Subcommittee held Wednesday, Nov 14, 2018. The subcommittee is comprised of Town Councilors Matt Kelly, Tom Mercer, Melanie Hamblen, and Debbie Pellegri. Karen Bratt, Human Resources Director for the Town of Franklin also participated. The position was posted in several places from Oct 18 to Nov 13. 24 applications were received. All met the minimum BA requirement. 18 met the minimum of 3 years of town administration experience but only 4 were directly in that role. One additional candidate held a deputy role. This would provide a pool of five candidates to work with. The discussion around the unique qualifications of the Franklin role and form of government lead into the qualifications of the current Deputy Administrator Jamie Hellen. Jamie started in Jan 2016 and has been working to learn the role for almost three years. The committee moved to bring Hellen forward as the candidate for replacing Jeff Nutting upon his retirement to the full Town Council. Jeff had previously announced his retirement to begin sometime in 2019. If the Council does not agree with this approach, the subcommittee can return to work with the pool of candidates gathered thus far. The session recording runs just approximately 33 minutes. Without further ado, here is the audio recording. In particular, if you have an interest in real estate, zoning or construction, I would like someone to follow the Planning Board, Zoning Board of Appeals and Conservation Commission meetings. I’ll provide the guidance on note taking and sharing. You need to bring an inquisitive and open mind and willingness to learn and share. If you can use the information that you find here, please tell your friends and neighbors. The music for the intro and exit was provided by Michael Clark and the group "East of Shirley". The piece is titled "Ernesto, manana" c. Michael Clark and Tintype Tunes, 2008 and used with their permission. Live reporting: subcommittee for Town Administration; Kelly, Mercer, Hamblen, Pellegri. Town charter calls for the posting in appropriate professional places. Live reporting: subcommittee voted to bring forward recommendation for Hellen as the candidate, to come forward at a future meeting; if council doesn't approve, the subcommittee will look into the current pool of candidates. This meeting may be recorded. 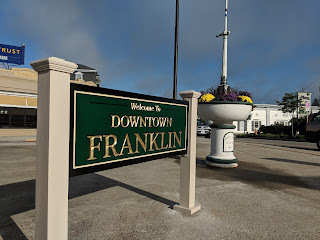 This is a meeting of the Franklin Town Council Sub-Committee; under the Open Meeting Law, this subcommittee is a separate "public body" from the Town Council. Therefore, unless the Town Council has separately noticed and posted its own meeting, Councilors who are not members of this subcommittee will not be permitted to speak or otherwise actively participate in this meeting, although they may attend and observe. This prohibition is necessary to avoid the potential for an Open Meeting Law Violation. The Town Council, by a majority vote of its full membership, shall appoint a Town Administrator who shall administer and implement the directives and policies adopted by the Town Council. The Council shall fix the Administrator's compensation within the limits of an appropriation adopted for that purpose. The salary, benefits, and terms and conditions of employment and the procedures for dismissal shall be negotiated between the Town Council and the Administrator. In seeking candidates for the Administrator's post, the Town Council shall advertise in appropriate professional journals and other suitable publications as deemed necessary. The Town Administrator need not be a resident of the town at the time of appointment but shall establish residence within the town within one year following appointment, unless the town council shall waive such residency requirement. If a resident of the Town, the successful candidate shall have held no elective town office for a period of one year prior to appointment. The Administrator shall be appointed on the basis of educational, executive and administrative qualifications and experience, including at least a bachelor's degree in an appropriate field of study from an accredited four-year college or university. Professional experience shall consist of at least three (3) years of full-time, compensated service in town or town administration or related administrative activity.